The sidoku is the musical variant of sudoku. The main difference is that the grid contains musical notes, not numbers. To solve the sidoku, put in each box a musical note (do, re, mi, fa, sol, la, si). 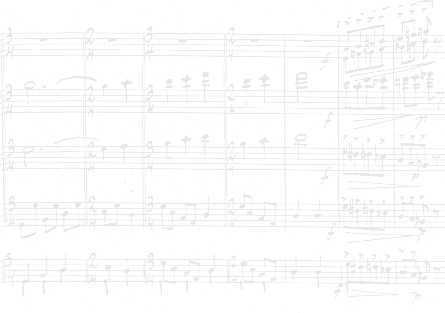 Keep in mind that the seven notes have to appear in each column, in each line and in each zone (a zone is marked by the thick boundry lines). The notes that are already placed are clues to help solve the puzzle. There is another clue! The notes in the shaded area, (reading left to right and top to bottom) are the first measures of the piece indicated on top of the sidoku. According to the difficulty, sidokus are divided into 4 levels. From easier to harder: elementary, intermediate, advanced and virtuosity. Moreover, there are dodecaphonic sidokus (12x12) where you can find 5 more notes (do#, re#, fa#, sol# and la#), and symbolic sidokus (4x4) with music symbols. Now you can solve your first sidoku. Click on a box to change the note. You can check the inserted notes cliking on the button below. The notes in the shaded area correspond with the beginning of 'Happy birthday to you'. You will be able to listen it when the grid is full. If you prefer to solve it on paper, download the pdf document.